I really want to do a few videos on this amazing card game. I have to say, I love this Living Card Game. 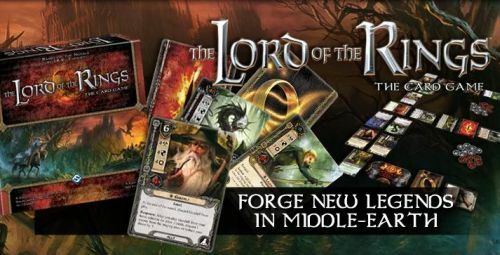 Lord of the Rings LCG created by Fantasy Flight changed my view on collectible card games. However, LCGs are not a new thing for me. I am also a player of Netrunner and Game of Thrones LCG which share a similar idea on how you collect these cards. 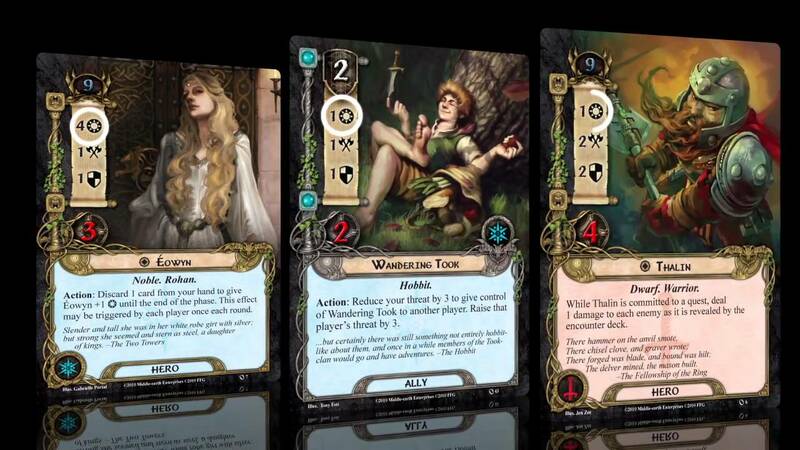 If you have never played Lord of the rings LCG I would highly suggest it if: You are the type that enjoys a story narrative in games, enjoy coop games or playing causally is preferred. While the game does have a tournament side to it the competitive side to it does seem to fall upon the side. The focus on teamwork and deck building against the increasing difficultly of the quests is awarding. Ever quest has it's own flavor for it and not just in story but the way the game is played. Another exciting part I love about this game is the fact of playing Solo. Sure it sounds bad to collect cards in order to play a game of solitaire but I truly can be fun. Arkham Horror, a board game that has similar elements with a group of players who face off against the board/deck can also be played solo. I find that with Arkham solo games are far more difficult unless you play "2 handed" (1 player playing 2 characters), with Lord of the Rings LCG you can solo most quests without the need to "2 fist" a glove of cards and heroes to beat them. In fact sometimes having more players can actually make particular quests more difficult. I am looking to do an audiocast on this game in the future or at least I really want too. I have nearly all the collection since I heard about it which was only a year ago but I have been taken by the ring, so to speak. We will see what comes of it but if anything I haven't really talked much about the details of what the game is about or the mechanics, that will be for a future post! For now, if you never played it give it a shot! Buying the core set alone can be a lot of fun and if you do not like spending loads of money, the box set expansions might be enough to give you endless fun. As a side note join me and listen to the Cardboard of the Rings crew. They are entertaining and informative!